Margery A. 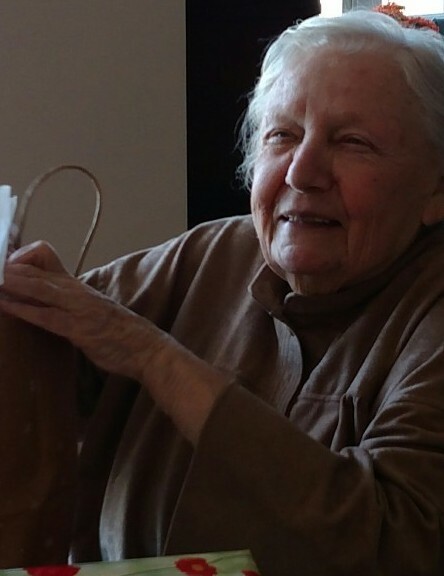 (Thul) (Klein) Gividen passed away peacefully at the age of 93 on June 24, 2018 at St. Johnsville Nursing Home following a courageous battle with dementia. Margery was born April 15, 1925 in Flushing, NY to Charles and Wilhelmina Roeser Thul. Following graduation from Newtown High School in Queens, she completed the Illustration Course of Study at Pratt Art Institute in 1946. Margery enjoyed her time working in New York City following college, where she was an “office boy” among other positions until she married and helped raise her first family. Once they were grown, she had her own three children and during summers added the Gividen stepchildren to the mix. Margery was predeceased by her first husband, Kenneth Klein, her second husband, Noble Gividen as well as her parents, her sister Suzanne, and her stepson, Kenneth Klein II. Margery was known as Midge by her friends and Mimi by her family. She is survived by her three children - Charles Klein of New York, NY, Jonathan Klein of Boston, MA and Elizabeth K. (Richard) Brown of Sloansville, NY. She is also survived by her grandchildren: Kerrin Klein-Mathers (Sarah) of NY and Rudolph Brown of VA, great-grandsons: Connor and Reid Klein-Mathers as well as stepchildren: Kristin K. Albright of NJ, Kathy G. Box of CO, Mark Gividen of CA and Susie G. Mayou of IA. Having grown up during the Depression and war years, Margery was an avid reader and took great pride in her independence and self reliance. While Margery’s primary occupation was homemaker when she was raising her family, she was also a free-lance graphic designer. As the children grew, she added wall papering and house painting contracting to the mix. She was a highly-skilled self-taught crafter including knitting, quilting, as well as exhibiting her water color paintings. She worked tirelessly in her gardens up until her late 80’s. She enjoyed a healthy discussion about politics and the state of the world. Margery prided herself on doing the Sunday NY Times crossword puzzles in ink. She also was a clerk at the Book Nook in Cobleskill for many years. The family wishes to thank the staffs of Compassionate Caregivers and St. Johnsville Nursing Home for their kindness and treating Margery with respect during her final years. Special thanks to Dr. Joseph Luz, Rebecca Radliff, and Tanya Hanley-Crewell for their love and caring in helping to keep her dignity during challenging times. An Open House will be held at Mereness-Putnam Funeral Home, 171 Elm St., Cobleskill on Saturday, June 30, 2018 from 3-5 p.m. Margery’s favorite charity was Heifer International, which helps empower women in providing food for their families. In lieu of flowers, donations may be made to Heifer.org, research for finding a cure for Alzheimers at CureAlz.org, or the community library of one’s choice.